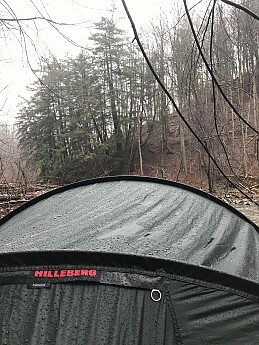 The Hilleberg Kaitum 4 is a two-door, two-vestibule, four-person, four-season tent that comes in at a more than respectable 8 lbs 10 oz (that’s a lot of numbers) designed to maximize roominess while minimizing weight. The best part is that is manages to do both, without sacrificing weather proofing or durability. I’ve been unable to find any flaws with the Kaitum and have no doubt this tent will last through years of the hardest abuse. 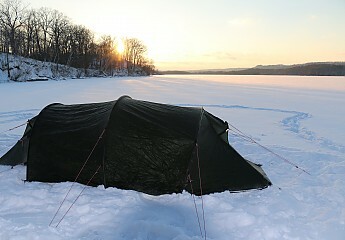 Even when setting up the tent alone it can be done in, and around, ten minutes. With another camp mate or better yet a group, it can be under five. There aren't a lot of ways to screw it up, which makes it pretty foolproof, and easy to do even under the worst conditions. Three poles and a tunnel sign make it pretty straightforward. First, stake down one side (doesn’t matter which, one head or foot, although it helps to make sure these stakes have some good purchase in the soil, don’t do it half heartedly as you will need to pull against these to make the tent take shape). Next insert the poles into the sleeves. Two of the poles are the same length at 328 kms, while one, designated with red tape on both ends is a little longer at 368 cms. The sleeve for the longer pole is also marked red, so it comes down to "are you able to match colours"? Make sure they are seated all the way in the sleeve and then you place the open end in a little cup thingy. Pull the whole thing away from the direction of the stakes you have already placed and your tent will take shape. As little as four stakes can be used, but to maximize the strength and ventilation, you can stake out the remaining 14 stakeout points. Yes, you read that right. A total of 18 points. 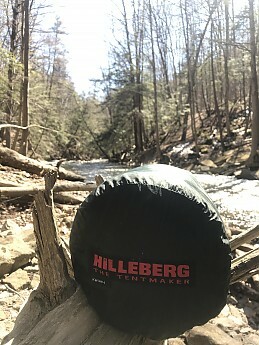 This thing (when set up and secured properly) is the most bomb proof shelter possible, which is ironic because Hilleberg classifies it under their Red Label series (read more about the Hille classification system here http://us.hilleberg.com/EN/about-our-tents/label-system/ ) which utilize their Kerlon 1200 fabric (26.5 lb tear strength, most polyurethane coated fabrics used by other tent manufactures today are around 4-6 lb for reference) and 9 mm poles. They don’t even deem this an “expedition” level shelter. Now the best part about all Hille tents is that they set up in one shot. There’s no setting up the inner, then hurrying to get the fly over top all the while the rain is soaking the area you hope to keep dry. The poles are inserted into the sleeves on the fly and the inner is already attached. 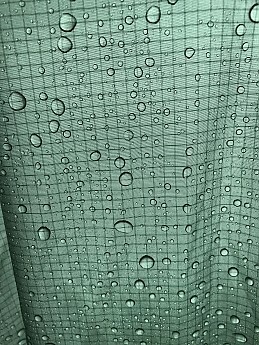 It keeps the entire inner tent from ever seeing a drop of rain. 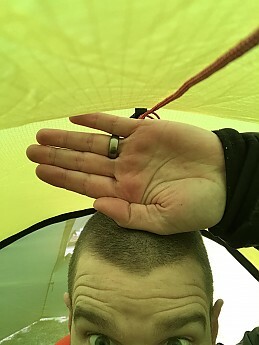 Then after that all night storm you can pack your bags inside the tent, disconnect the inner tent, pack it away dry, and then tear down the outer. Arrive at your next site? Same process in reverse—set up the outer, get under and dry, connect the inner. It’s almost the exact opposite of every mainstream North American tent maker...and it make way more sense. Still not sure why everyone hasn’t caught on this yet. It does seem to be more popular with some of the European tent manufacturers. I made a short video to talk about/show this a little. Another option for setting up and using this tent is that it is essentially three tents in one. 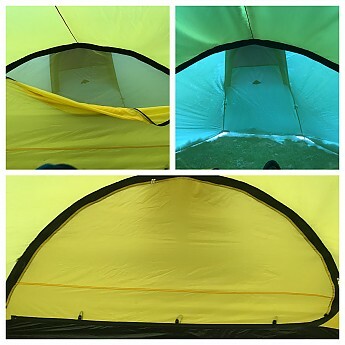 Because you can set up the outer fly on its own, or the inner mesh tent (with additional accessories) on its own, or both, you can match the tent to the situation. 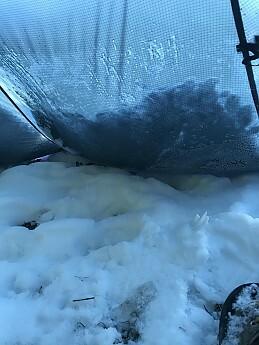 On mild winter trips you can bring just the outer and dig out the snow under/make sleeping platforms. I also love this setup for spring weather when bugs aren’t an issue. There is no need for the mesh tent and it brings the weight way down. Got one of those rare beautiful weather trips without a drop of rain in sight? 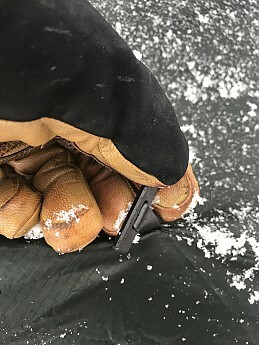 No, neither do I, but should you live in a drier climate Hille sells pole holders to allow you to pitch just the mesh tent (here: http://us.hilleberg.com/EN/tent/tent-accessories/) for $15. 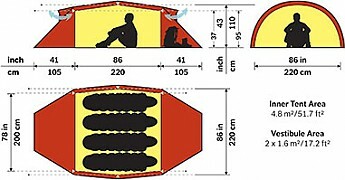 Of course the double walled shelter will be most likely be the most used combination. 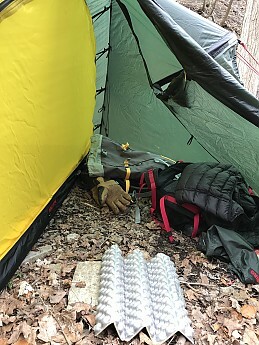 The Kaitum is a tunnel design tent, which means two (possible) things worth mentioning—it can be a steeper learning curve in setting it up, and a lot of the stability of the tent is dependant on the strength of the stakes. The two most difficult conditions (that I’ve encountered at least) for staking out a tent are loose, sandy soil and dusty, soft snow. There are work arounds for both. 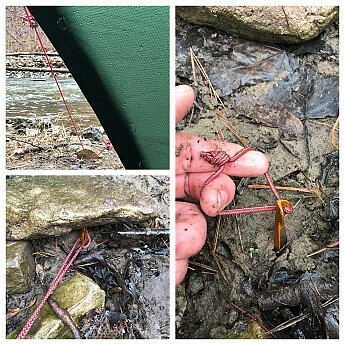 For winter I like to find downed limbs or branches from trees and use a deadman anchor, especially when this hardens over it’s incredibly strong, and on sandy beaches or sand I like to find rocks to supplement the stakes. It only takes two or three medium sized rocks to lock them in. 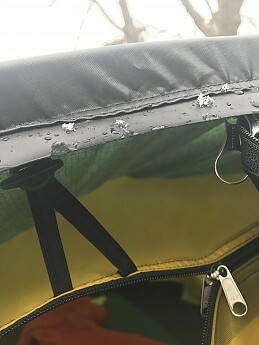 Those are the only two possible negative drawbacks to the stability of this tent. As I mentioned above there are 18 places to peg the Kaitum down. Six each on the broad side and three on the head/foot ends. If you can’t get this thing stable in the worst weather imaginable then you weren’t meant to be out there in the first place. And that’s without mentioning the superiority of tunnel tents in dealing with the wind. The tent is obviously designed to have the entrance ends into the wind. That creates the most aerodynamic/least wind resistance and you can brace the vestibule with your backpack. 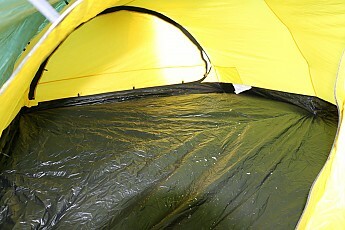 Even if the wind should shift, the broad side of the tent is more than capable of handling it. It will bow in a little and if you're the outside edge sleeper you’ll get a tent wall in your face, but the three 9mm DAC poles combined with the fabric strength is strong enough. Another awesome part (of all Hilles, I believe) is the ability to double up the poles. Another set of poles can be purchased and the sleeve is big enough to accommodate multiple sets of poles. For my Unna I have a set of the 9 mm poles and the 10 mm poles, and should I need the absurd strength of both poles together I could. While tunnels, in general, aren't the ideal geometry for bearing a lot of snow weight (the poles are spaced/not crossed), if you're able to get a good taut pitch then the Kerlon fabric is so slippery the snow has nowhere to stick. 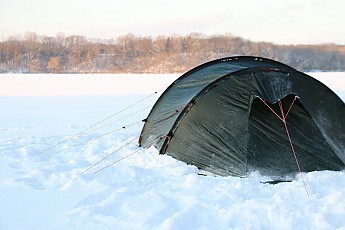 If you’ve been in a rush to set up the tent and gotten a less than ideal pitch it can create areas where water, or snow, could pool. 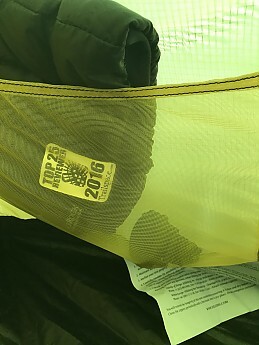 It’s as simple as knocking the fly though and it will all fall off, it pile up on the sides and in the morning can be shovelled away, or just left as it will seal up the edges and make a wind break. The only spot hat this can become annoying is in the vestibule. It can start to push in on the fabric and greatly reduce the size. 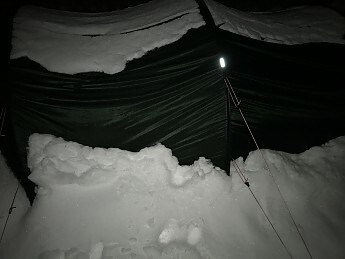 Generally we would use one vestibule as storage and one for entry/exit, so you can use your packs to hold up one side and the other it’s easy to dig down a little to make getting in and out easier, even when there’s snow weight. The fly extends right to the ground so you don’t have to worry about spindrift blowing up and inside either. I’ve put off talking about the Kerlon fabric for too long in this review, mostly because it’s hard to explain to someone who’s never touched it and felt it. 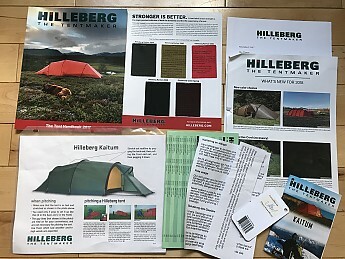 Before I attempt to speak on it, please promise me you’ll go order the Hilleberg catalog. I’m not sure if they're still doing this (I hope so!) but every catalog used to include fabric sample of the Kerlon 1800, 1200, and standard silnylon. 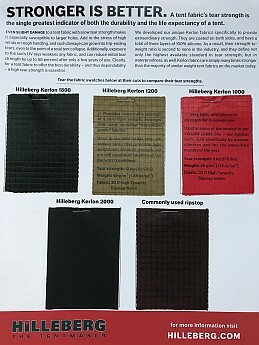 (*Edit: found the link on their site http://us.hilleberg.com/EN/contact-support/order-catalog/) You were encouraged not only to feel the difference but to attempt to rip them. I say attempt because I couldn’t. The tear strength is just too high, especially on the 1800. This is all just to say that rain never stood a chance. 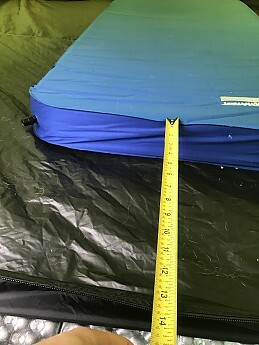 With a hydrostatic head rating of 5000 mm for the fly (heck, a lot of other tents don’t boast a floor with that high of an hh rating, for reference a Mountain Hardwear Trango or North Face Mountain 25, both well known/popular expedition designed tents, have a hh of 1500 for their fly), and an inner with an additional DWR coating, you aren't getting wet. The way Hille accomplishes this is by applying THREE layers of 100% pure silicone to BOTH sides of the 30D ripstop nylon. Not diluted or cut with another substance, a trick many other companies use as it cuts the cost down significantly, but pure silicone. Then three times. Each side. It's where the strength comes from but also the peace of mind in a storm. The other piece to the puzzle is the floor. They use a 70 D nylon that protects to the tune of 15,000 hh. 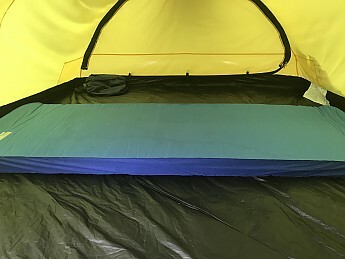 It is done with a triple coat of polyurethane so it’s not as slippery as the silicone and you don't go sliding while in the tent. It is also highly puncture, and abrasion resistant, so it’ll last for years on even the roughest terrain. 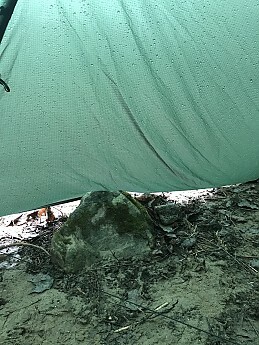 (I’ve never once used a groundsheet/foot print for my Unna, although it is recommended, which I believe is seven years old now, so I have no doubts that this will last). 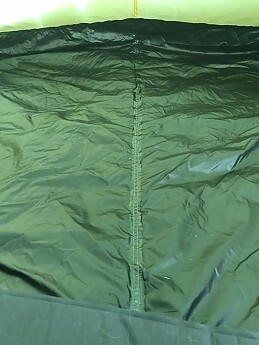 The only thing that does worry me with the Kaitum (and I guess this is unavoidable with a tent this size) is that there is a seam that runs widthwise across the tent. 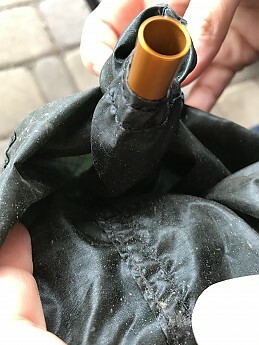 It looks, as usual with Hille’s stitching, well done and is seam taped, but if the is a weak point in the waterproofing I’ve got to imagine that's it. Nothing's gotten in ever, but I thought it would be worth mentioning anyway. Again, the amount of versatility of Hillebergs in general allows you to go anywhere from battening down the hatches to an open view on a clear night, and anywhere in between. Two huge vents on the vestibules can be open in everything but the absolute worst weather, and they can be operated from inside or outside the tent. They are covered by snow proof fabric so should you have to close them. Then you can leave the doors inside wide open and rested assured nothing is blowing in. Then there’s your door options—fully closed, no see um mesh, completely open, or some combo. A full width door is covered by both a no see um mesh and a fabric panel. A separate zipper operates both so you can dial in the exact amount of air movement you need. With the vestibule vents open I only feel the need for the top half of the door most of the time (that’s with three people, see below: room and storage). 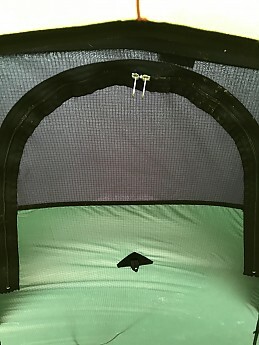 In ideal weather the fly door can be completely rolled back and the inner doors left open, or just the mesh in buggy but dry conditions for maximum air flow. 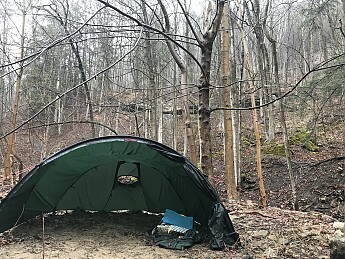 I mentioned in my Unna review the insane amount of space in that tent for one person (it’s borderline a two-person) but the Kaitum to me is the traditional “one less than claimed”. I feel the Kaitum 4 is better suited to three people, or three and their canines at most. The CLAIMED width of the Kaitum is 86 inches, which works out to 21.5 inches per person. In extreme cases where weight is a priority it is of course doable, but to me, especially in winter, this is a three-person shelter. 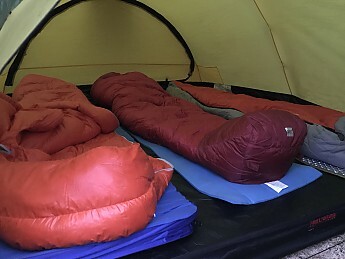 I often use a Therm-a-Rest MondoKing in cold, comfort trips, made even easier if you're pulling a pulk, and that thing alone is 25 inches across. My Exped Downmat is only slightly smaller. So unless you are really close to your friends, and have an overly ambitious climbing plan where the food is rationed to the last calorie to save weight, then count on three in comfort. Room to spare. I’m 6 feet tall and have more than enough room lengthwise. Even with a full size mat you still have six inches or so on either side of you. 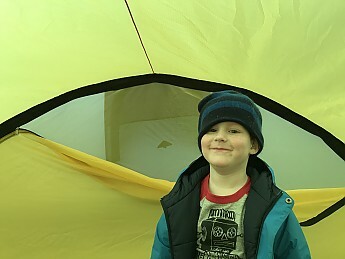 On the Hilleberg website they list it at 86 inches long but upon measuring mine I found it was closer to 90 inches long inside. The head and foot walls are vertical on the Kaitum so it’s all useable (two of their lighter tents have sloping walls to save space—the Nallo and the Nammatj, while the Kaitum and Keron have vertical end walls). 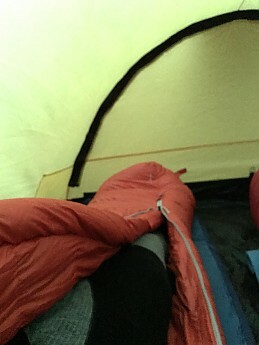 Doesn’t matter the height of your sleeping pad you don't wake up with a face full of tent. There is more than enough space should you run out of space in the vestibule (not likely) or if you're travelling with your dog and don’t want him to get lured out of your tent by coyotes (more likely). While this is not a family camper that you can stand up, do the hokie pokie and turn yourself around in, it does strike an ideal balance between being low enough to the ground to be aerodynamic and undefeated by the wind, and comfortable for times that you are tent bound. 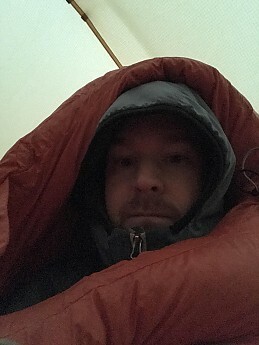 It’s 41 inches tall in the inner tent, which dependant on which sleeping mat I’m using, still gives me another six or so inches between me and the ceiling. It’s also not a big deal at all should you brush the ceiling as it is pretty separated from the outer fly so there isn’t much risk in knocking any condensation down on yourself. There is plenty of protected space to store even the most gear intensive trips. The vestibules on the Kaitum are large enough for three or more packs, even up to 80L size ones, in each one. And that's not even on the GT model which you could borderline set up a small climbing gym in. I don’t envision any scenario where this tent doesn’t have enough storage room. You’d have to be on some Arctic 10-day trip with four guys and no re-supply…and sled dogs. As I said earlier it’s more than enough room to use one vestibule for storage, leaving one completely clear for easy entry and exit. Once inside there are four pockets (one in each corner) to store the essential, easy access over night stuff. For me that’s my watch, headlamp, usually an extra toque, toilet paper, maps, etc. I’m not a book guy, but I’m pretty sure you could fit one. They measure roughly 12 x 8 inches each. 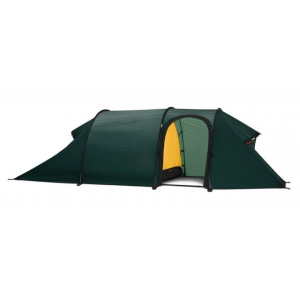 Relative to the size and liveability of this tent, the packability is quite good. If you have it in your mind that this is going to pack down to the size of an UL two-man tent though, you’d be mistaken. You should however be splitting this down between three, or four, people and then it’s more than manageable. 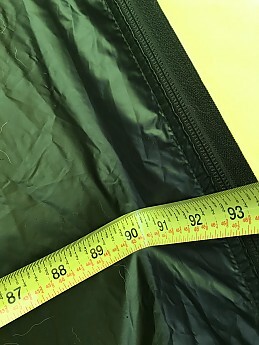 The tent bag (inner and outer only) is roughly 19 inches long and 7 inches in diameter. The bag is overly large by design to make stuffing and packing easier in cold and wet weather. Once stuffed into your pack it has room within the bag to shape itself to the bottom of your pack. Much like the philosophy of stuffing your sleeping bag into your backpack to allow it to fill in the cracks and crevasses. 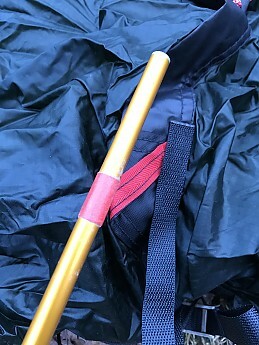 Then take the poles and stake bag and stop them separately (I often use the water bottle pocket of my backpack and run them up through the side compression strap). A couple of noteworthy “attention to detail” designs built into the bags. 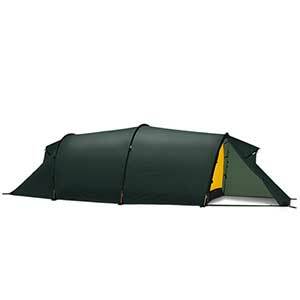 The large tent body bag has a handle to make it super easy to pull out the tent. 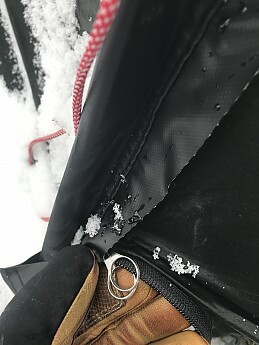 And the pole bag has a built-in sleeve for the extra pole should you need to repair yours. It’s a small thing but it's nice to turn this bag upside down to dump out the poles and not have the extra fall out every time. Setup with a non-freestanding tent can be a learning curve. Not difficult, but it’s best to learn ahead of time. A couple practise runs in the backyard and I could set this up in 10 minutes on my own. With a couple people it is well under 10, probably closer to five. While one person stakes out an end, the other can be assembling the poles. 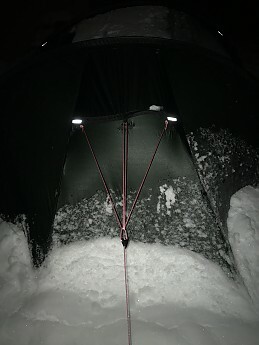 Because the Kaitum uses sleeves it’s quick and easy to slide the poles in, without having to circle the tent repeatedly to attach clips (it also keeps the pole sections from freezing together in snow and ice). Once the poles are in you can stake out the opposite end and guy out all the lines. The tent can be used with as little as four stakes, so it can go up pretty quickly, but more is recommended for an ideal pitch. This probably should’ve been higher in the review content because IMO it is the main reason you choose a Hille over any other brand. There’s no getting over the eye watering price, of any Hille really. BUT, and this is a big but, you get what you pay for. The quality of every single design and material and construction is top notch. I’ve touched on some of the more major talking points about the design/quality above—the Kerlon fabric, integral pitch, etc, but what sets them apart is the little things that I’ll group all together here. 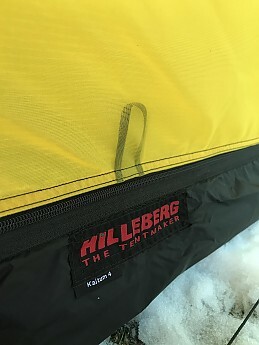 Hilleberg tents come with the guy lines pre-attached and with line runners already on. It makes setting up, and adjusting the tent, way easier. 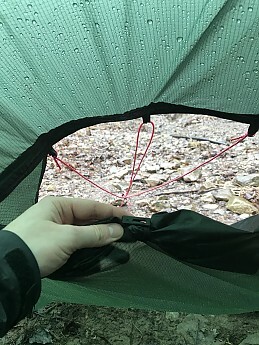 When setting up the tent initially, make sure all the lines are at their longest length, and then tensioning, or adjusting your pitch is as simple as pulling the line. The guy lines are interwoven polyester and Vectran (super strong, used for things like parachute cords, helicopter rescue ropes), which results in a cord that has zero stretch, high UV resistance, no sheath, and a breaking strength of 176 lbs. 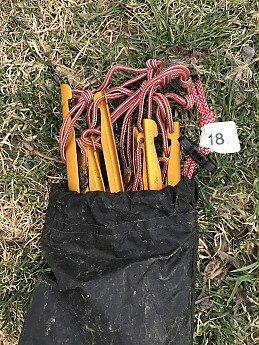 Eighteen V-Peg stakes are included—more than enough to pitch the tent with, even if you happen to lose a couple, they are bright gold though so they stick out pretty well. 16 cms long, 11 grams each, they are a nice mix of light and sturdy. The best part though is that they each come with a loop of Spectra attached to the head. That makes it a lot easier to pull out of the ground, especially with gloves on, or when the ground has frozen overnight. This is one of the things that make the overall weight of the tent all the more impressive. There are metal loops to stake out the tent at the potentially high stress areas, as well as metal tensioners for the poles. Also, high quality large metal zipper pulls as well as a tab to lock them together to keep them from flapping against each other in the wind. Also makes it much easier to operate in the numbing cold. 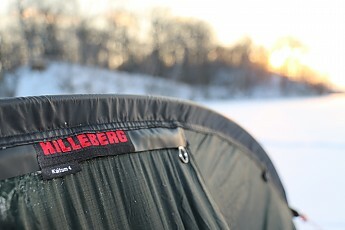 Each Hilleberg tent has a tag attached with the name of the person who sewed your tent. 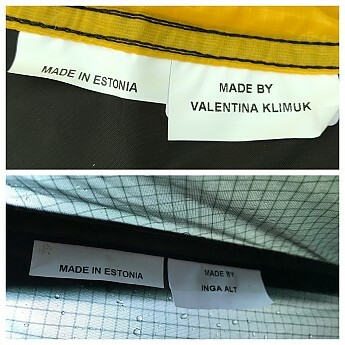 I was under the assumption that one person sewed the entire thing, but the Kaitum has two separate tags, with two different people, one on the inner and one on the outer. Maybe because it's a larger shelter, or maybe it's just changed since I bought my Unna. Either way it is a nice touch. It gives each seamstress a little accountability and clearly shows a pride in their work. 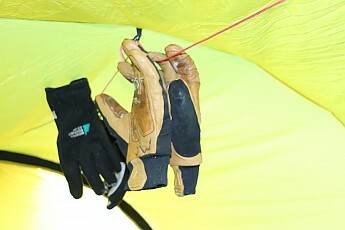 All of these little details add up to show that these tents are designed to last decades. 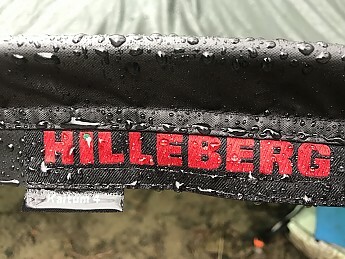 Each part has been carefully designed, constructed with the best possible materials and the Hilleberg quality control is high. 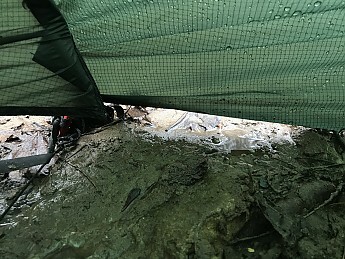 A tent made this well is hard to test, in terms of long-term durability, over a five-month span. I can say that I have an Unna that’s ten years old now, and when treated, cared for, and stored properly, will last many, many more years. 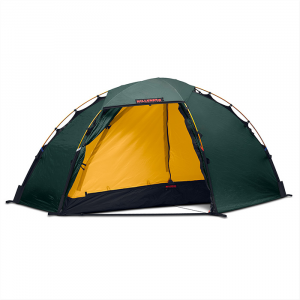 The Hilleberg Kaitum is a tent that delivers on its premium price with premium performance. 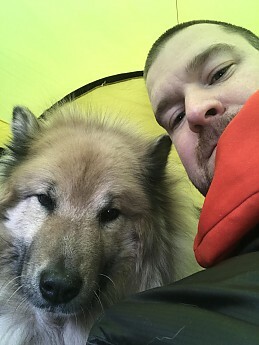 If you are looking for a basecamp style, group backpacking, winter fort, or just a reliable family tent, the Kaitum should be seriously considered. 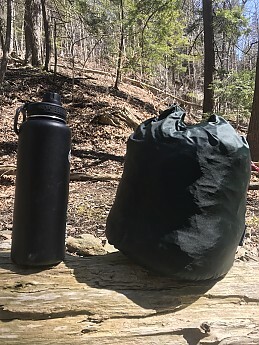 It’s got the bomb proof construction, storage for the most gear intensive trips, and, should you just want to go a little mellower and camp on a beach or beside a river, the versatility to adapt to whatever the weather throws at you. 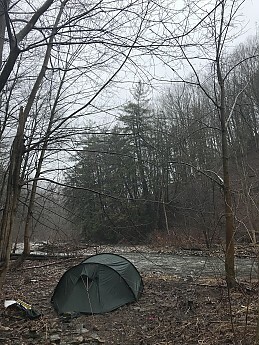 I have zero reservations in recommending this tent to anyone looking for a larger shelter. 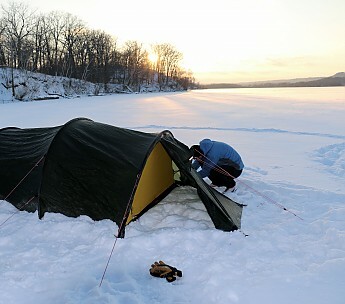 The Hilleberg Kaitum (which is lake/river that flows through Northern Sweden, last fun fact for the review) has been used over a five-month span from December to April, in Ontario, Canada. It has seen a good amount of variable weather—from freezing rain, heavy wet snow loads, gusting winds up to 80 kms/hr on an open lake, and everything in between. It was used with up to three people and two dogs (who are 120 lbs and 80 lbs, so basically the size of another person). 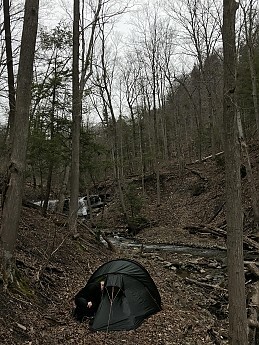 I most often carried the entire tent (12 nights), but also carried only the fly (three nights on a rainy spring trip), and once forgot the poles and made it stand with just the guy lines and four trekking poles! 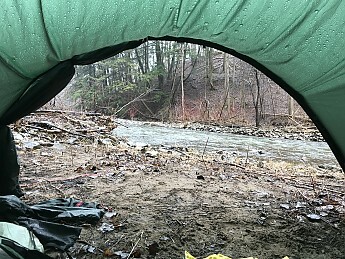 *My thanks to Trailspace and Hilleberg for the opportunity to test the Kaitum 4. Hey Red. 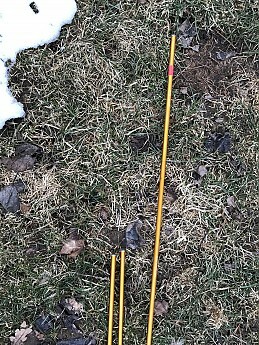 The total weight including everything (all stakes, guylines, bags, etc) is 8 lbs, 10 ounces. Nice review Jake. I am way past need a shelter of that size but this looks like a good one for a family trip. Sorry, I see it now right at the top. Is the MSRP also in there somewhere? Nice review! But I see more downsides in my own Kaitum 3 tent. 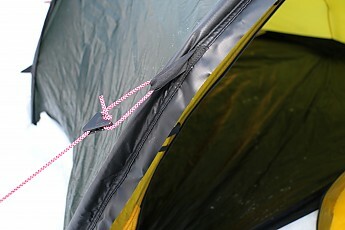 Also the Kaitum is a lightweight product, so in long term its service life is shorter than that of Black label tents. (in Kaitum there may be issues with growing stitching holes on inner and outer fabric.) For car camping or similar motorized activities the Keron tent is probably better. That is light weight for Hille and would probably make a good family back country tent assuming you find a spot to pitch it. 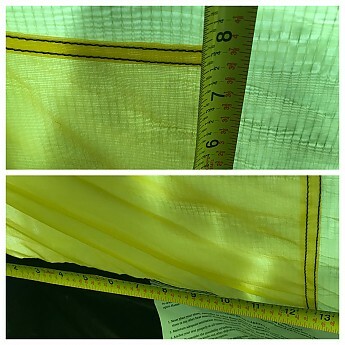 Our Kelty TR3 is 7+ pounds and won't hold up nearly as long. Of course it didn't cost as much either heh. Nice review Jake! BigRed- MRSP should be at the top right of the screen (unless you are using the mobile platform, which I believe doesn't show). Price is $1080 US. Vladimir- yes, the Kaitum is a "lightweight" tent by Hilles standards, but in my opinion that's like saying "that's a slow Porsche". 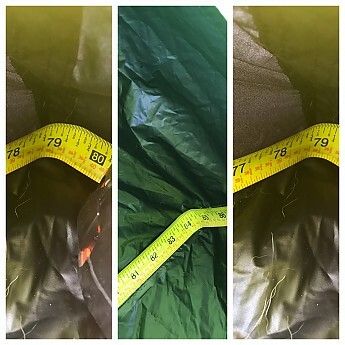 Compared to other Hilleberg models, yes the long term durability may be less, but compared to a model from almost any other tent maker the Kaitum will last just as long, if not longer. LS- yep, Hilles are definitely a market niche as the price can make them unobtainable for some. 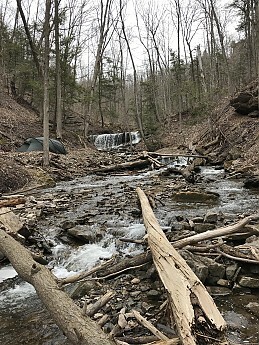 I think the value in a tent like this is in having, as you said, a tent that can be a family front or backcountry tent, and then can transition into a group expedition tent and handle that just as easily. Just my opinion, and I think some will disagree, but if you have a tent that does all that and lasts 10 years, then it can be worth the money. 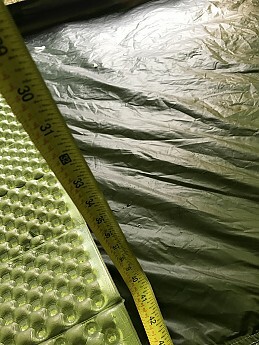 Jake, the 30D fabric of rainfly and inner tent is lightweight by all means. Kerlon 1200 is truly difficult to tear (I destroyed all Kerlon samples in numerous ways), but extremely easy to cut or pierce. Also the stretch of stitching holes under load is quite a common phenomenon. E.g. 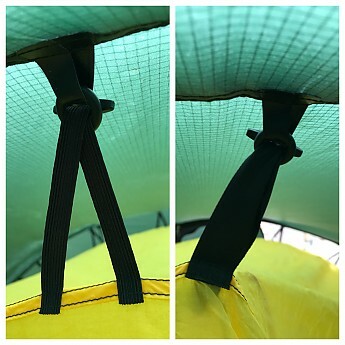 if you put something bulky into the tent pocket, the holes will develop in upper corners which bear the load. 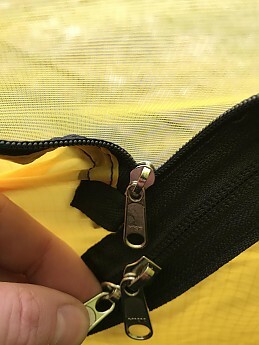 Also in my tent I've spotted the stretched holes near the zipper at the top of the fly. Great review, Jake! 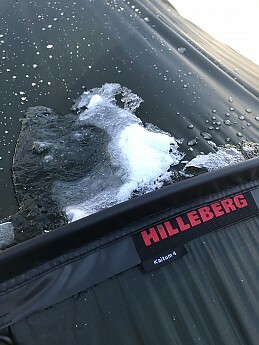 Thanks for testing out this Hilleberg over the winter and for sharing all of this info and images. Great review, tons of info here, thanks.